Music has no boundaries and it has the power to heal the soul and pull distant hearts together. 2017 saw new music festivals adding to the list of festivals being organised in various parts of India where singers and musicians from across the globe, showcase their talent. In today’s age of exposure, the coming of the new indigenous music festivals has been attracting music lovers and everyone wants to be a part of them! For travellers and music lovers alike, this eclectic mix of the most awesome music festivals whether on the beach, in the hills, or inside a fort are worth travelling for. Here is a round-up of the festivals this year and the magic they created for the music lovers. 2017 ushered with the debut edition of Ranthambore Festival 2017 at the gloriously majestic Nahargarh Palace, Sawai Madhopur, Rajasthan. The first festival of the year treated music lovers to a world of grandeur, music, wilderness, healing, gourmet food and much more. The festival was one-of-its kind bringing together eminent artists from across the globe and India’s fading folk artists at one platform. 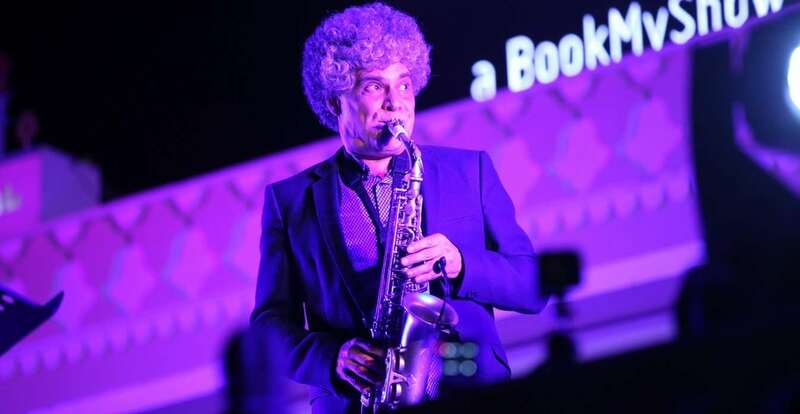 The major highlight at the festival was the showstopper performance by classical sufi singer Ustad Ma Zila Khan in a special collaboration with Indo-jazz flautist Rajeev Raja and Belgian saxophonist Fabrizio Cassol. 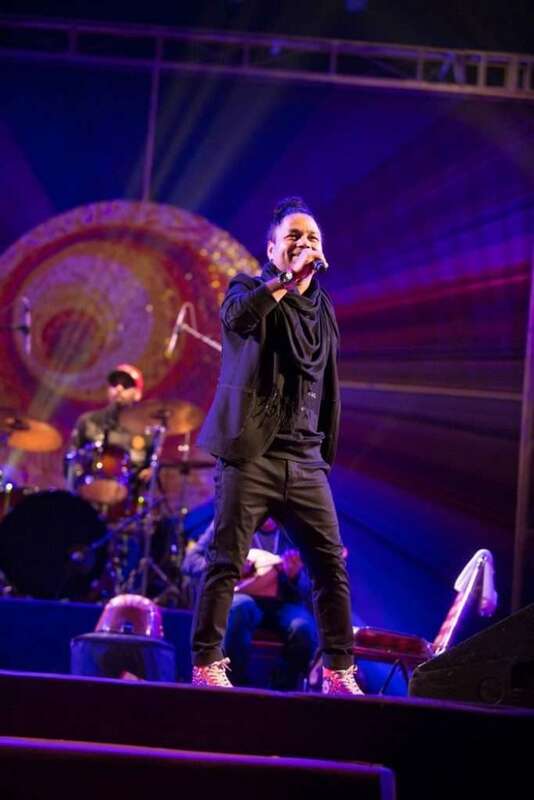 The audience saw performances of veteran Indian classical dancer and activist Mallika Sarabhai, folk fusion band Kabir Café, Indo-folk duo of Maati Baani. The screening of The Unforgotten Music of Rajasthan, the documentary chronicled the journey undertaken by the festival to remote corners of Rajasthan over 12 days to discover and showcase a spectrum of folk music styles and honour their performers. This resulted in performances by 35 handpicked Rajasthani folk musicians, who were discovered after travelling to all corners of the state. Through the performances of these hidden gems of Rajasthan’s rich folk music legacy, the festival enlightened the audience with the traditional instruments used in folk music, the traditional dialects and its importance in folk music. The piano recital of UK based western classical pianist Karl Lutchmayer’s tunes set the regal palace to another level. The Kalaripayattu showcase of ancient martial arts and dance form by Maruthi Kalari School left the audiences awestruck. The Festival is an initiative by Ashutosh Pande, founder of Bajaao and Abhimanyu Alsisar, a member of the royal family of Alsisar who hosts the annual electronica festival Magnetic Fields on his family’s ancestral grounds, Alsisar Mahal. The Venice of East became the perfect backdrop for the second edition of Udaipur World Music festival 2017 that brought together global musicians under one roof. Music has no boundaries and it stood true at this festival, as the crowd swayed at all kinds of music like traditional African, Persian, Italian, Cuban, Indian folk and much more. 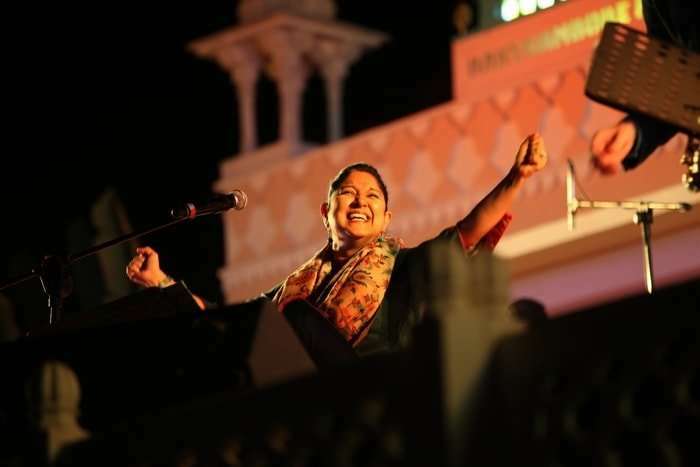 Conceptualized and organised by Seher, spread over three venues in Udaipur; Fateh Sagar Lake, Gandhi Ground and Jagmandir Island Palace, the three day festival was a treat for music aficionados. This edition brought forward first timers like Kabir Café, London Community Gospel Choir and Azam Ali among others, a special treat for the audience. The 2017 edition of the electrifying Udaipur World Music Festival created new landmarks in music as it was more illustrious and bigger this time with 150 artists from over 16 countries all brought together on one platform. The Festival is conceptualized by Sanjeev Bhargava, produced by SEHER. The heritage and ancient royal charm of Mandawa met with a world class mix of music, art and culture at the debut edition of Taalbelia Festival organized by Event Crafter. 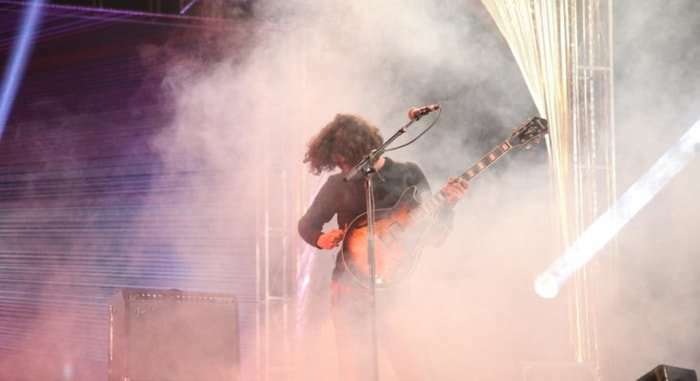 There was a curious mix of music–from local singers Gazi Khan and Bhanwri Devi’s folk and psychedelic prog courtesy Bengaluru band Parvaaz to electronica by Dualist Inquiry, Arjun Vagale and others. The specially curated sets featured the likes of Indian Ocean with Grammy Award winning stalwarts such as Pandit Vishwa Mohan Bhatt and George Brooks (American saxophonist known for combining jazz and Indian classical music), Manganiyar Classroom by Roysten Abel, Ankur and Ghalat Family, Arambola, Arjun Vagale, Grain (DJ Set), Bhanwari Devi, Rapper Divine, Dualist Inquiry, Ghazi Khan and Anwar Khan Manganiyar, Nicholson, Parvaaz, Prateek Kuhad, Prem Joshua, Rajasthan Josh Group, Reggae Rajahs, Ritviz DJ Producer, Shadow and Light, Sid Vashi, Soulmate, Sound Avatar, When Chai Met Toast along with Sumitra (meera bhajans) and Sunita Amin. The Mahindra Blues Festival has become an important event on Mumbai’s social calendar. Every February for the past seven years, the legendary Mehboob Studio in Bandra, Mumbai, is home to this event for a weekend. The Mahindra Blues Festival was back for its seventh edition in 2017 at the prestigious Mehboob Studios for another round of smooth jazz music. This year was as enticing as its previous editions, starting with three-time Grammy nominee and electric blues vocalist Shemekia Copeland. She was joined by Quinn Sullivan – the 17-year-old blues prodigy. India’s very own Blackstratblues a.k.a. Warren Mendonsa was back with Americana soul singer Janiva Magness. Grainne Duffy combined her Celtic influences to her blend of blues and soul rock music. The festival featured Supersonic Blues Machine, whose members included drumming legend Kenny Aronoff, bassist/producer Fabrizio Grossi and award-winning guitarist Lance Lopez. Joining them onstage were be Billy Gibbons of ZZ Top fame and blues-rock guitarist Eric Gales. 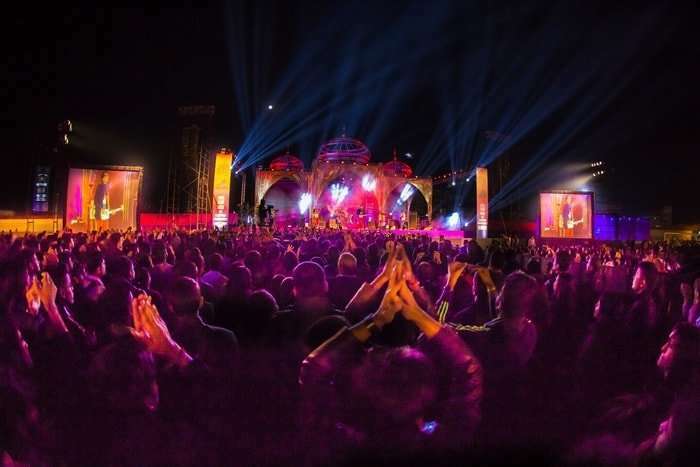 Founded in 2012 by Bobby Hano and Menwhopause guitarist Anup kutty, the Ziro Festival is an incredible occasion of music revelry in Indian North-Eastern State of Arunachal Pradesh. Spanning over 4 days, the festival is hosted by the Apatani tribe of the Ziro valley, one of the most picturesque locations in the state. Situated at the height of 5,500 feet above sea level, the valley is an amazing venue for this fabulous gala, surrounded by beautiful misty mountains. Exhibiting an amazing independent music scene in India, the Ziro Festival is a phenomenal and exciting event to attend. 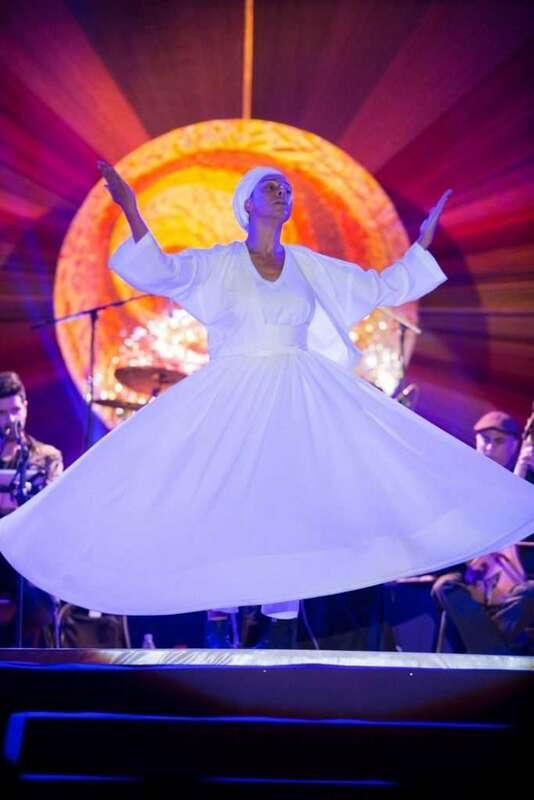 This year there was a cultural confluence of Israeli Sufi with Rajasthani folk, Italian hard rock and Naga fusion rollers. The Jodhpur RIFF took off in 2007 and it’s been growing in distinction and popularity ever since. H.H. Gaj Singh II, Maharaja of Jodhpur is its chief patron and Sir Mick Jagger of The Rolling Stones is the international patron. Completing a decade this year, the 10th edition of the Rajasthan International Folk Festival (RIFF) is supported by the Mehrangarh Museum Trust (which has lent the Mehrangarh Fort in Jodhpur as a venue) and Jaipur Virasat Foundation. The earthy voice of folk singers and the haunting sounds of kamaicha, manjira and dhol echoed through palaces and ramparts. The music of troubadours mingled with the tales of valour of Suryavanshi Rathores. The Mirasis, Langas, Manganiyars, Kalbeliyas, Dholis, Bhopas, Nats and Banjaras continue to define the culture of the desert State. Though folk artistes of Rajasthan are at the core of RIFF, the festival in its effort to be experimental and refreshing features diverse genres and artistes from across the globe. 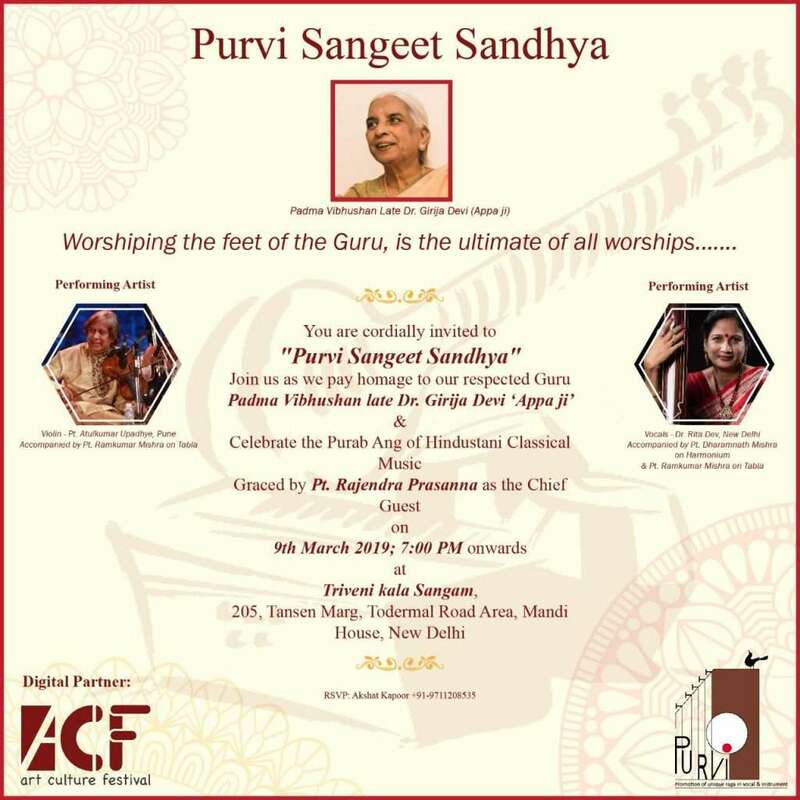 And for three days, the Darbhanga and Assi ghats of Varanasi reverberate with the soulful music inspired by Kabir, the enigmatic 15th century mystic-poet. The Mahindra Kabira Festival offers an immersive experience of imbibing Kabir’s philosophies and the lyrical aspect of his teachings through a programme which celebrates Kabir’s passion and verse linking them inextricably with the fascinating spirit of Varanasi, his birthplace. The Mahindra Group & Teamwork Arts have crafted a unique annual festival in Varanasi – a city that perfectly encapsulates Kabir’s idea of inclusiveness and diversity. The festival promises a journey of inspirational music along with heritage walks, literature sessions, food and yoga. Returning with yet another sublime celebration, in 2017 The Festival featured music maestros Kailash Kher and Shubha Mudgal, and renowned grassroots artistes by the likes of Bindumalini and Vedanth Bharadwaj, Mahesha Ram, Nathoo Lal Solanki, Rashmi Agarwal, and Harpreet Singh. Third edition of the Pushkar Sacred Festival conceived by Teamwork Arts was a perfect getaway that promised a rejuvenating experience in the timeless city of Pushkar with Sacred music performances, yoga workshops, guided meditation, curated heritage walks in the city and much more. The Festival brought together some of the most powerful and diverse, national and international performers from various traditions of Sacred Music – Sufi, Gospel, Acapella, Folk and Classical music to Pushkar – a town textured with the tapestry of ancientness, mysticism, mythology, an inclusive cultural heritage and a deep sense of history and spiritual calm. 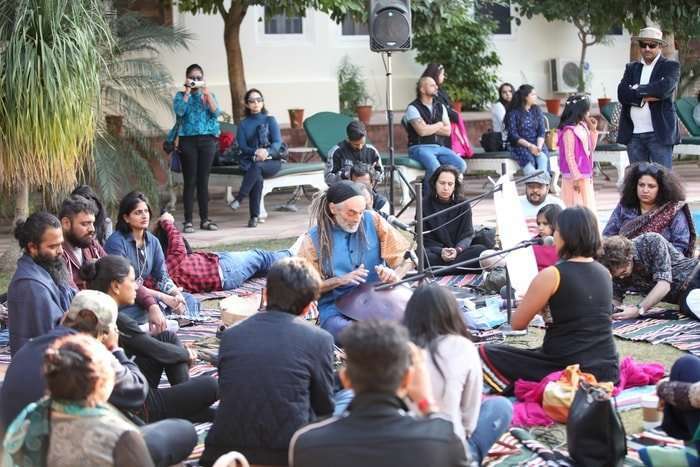 The Festival featured renowned names such as Grammy award-winning percussionist Vikku Vinayakram, Rashmi Agarwal, performances by Kavita Seth and Laboratorium Pieśni from Poland. The festival provided an opportunity to appreciate and assimilate Pushkar’s diverse religious, architectural, culinary and handicraft offerings: the spectacular Maha Aarti on the ghats against the winter evening sky, a trip down the winding lanes of this colourful town and the vibrant handicrafts created by local artisans. From introducing the temple town’s history, myths and legends to exploring some of the 52 ancient ghats to the Savitri Temple, the curated walks offered the participants a chance to witness the rich heritage of Pushkar. Since it made its debut in 2013, Magnetic Fields has quickly come to be acknowledged as one of the most exceptional music festivals in the world for its confluence of art, music, wellness and community. The flagbearer for future-facing sounds and alternative artists from India and around the world, the festival served up a wide range of acts that would keep any music fan engaged and interesting. Indian acts like Sid Vashi, Komorebi, Kumail and Aerate Sound found themselves on the same lineup on the Bira 91 South Stage as electronic music heavyweights Four Tet, Brainfeeder affiliate Teebs, prolific American producer Machinedrum, Texan Thai funk band Khruangbin and conceptual audio visual collaboration Different Trains 1947. The Red Bull Music Academy North Stage performed with standout sets from DJs and producers Special Request, Ben UFO, Four Tet, Willow and Jayda G. One of the newer additions this year was the beats-meet-BBQ Bira 91 Freeflow Garden, where DJs like Livin’ Proof’s Raji Rags, Madstarbase, DJ Ishani and DJ MoCity mixed hip-hop classics alongside Kendrick Lamar and Bollywood samples. The highlights included sets by Boxout Soundsystem and BFR Soundsystem featuring Delhi Sultanate and Begum X’s first-ever DJ set. New content streams like Saavn Sundowners and Magnetic Sanctuary also proved to be a big hit. Ragasthan is a three-day desert camping music festival held 40 kms from Jaisalmer in Rajasthan in an isolated part of Thar desert. The festival provides an experience of camping in the deserts of Jaisalmer combined with multiple genres of music played on four stages, film, art, photography and various outdoor activities such as paintball, sand-surfing and zorbing. Festival founder Keith Menon first proposed the idea for a desert festival in 2008 and the first time it took place in 2012 at the Kanoi Dunes near the outskirts of the city of Jaisalmer. Unlike most events marred by city deadlines, this multi-genre festival brings electronica, rock and folk artists together outside Jaisalmer city to jam until the wee hours of the night. The mornings are filled with performances by folk artists and rock acts in the evening, while electronica acts took over the night. Being away from city limits gives Ragasthan the advantage to push curfew times beyond the usual timings. NH7 Weekender is an annual, multi-city music festival in India. Conceptualised, produced and organised by Only Much Louder (OML Entertainment), the event is one of the largest music festivals in India, with an annual attendance across the editions of over 100,000. The festival, held between October and December, travels to multiple cities, with the flagship event in Pune. Other cities that have hosted the Weekender include Delhi NCR, Bengaluru, Kolkata and Shillong. The festival is noted for its divergent artistic lineup and hosts a large number of established and emerging local artists alongside major international acts. Notable artists that have performed at the festivals include Steven Wilson, Steve Vai, José González, Mark Ronson, Mogwai, Flying Lotus, The Wailers, A. R. Rahman, Imogen Heap, The Vaccines, Megadeth, Rodrigo y Gabriela, SBTRKT, Chase & Status, Bombay Bicycle Club, Asian Dub Foundation, Basement Jaxx, The Magic Numbers, Fear Factory, Seun Kuti, Benga, MUTEMATH, Simian Mobile Disco, Dry the River, Farhan Akhtar Live, Fink, Jon Hopkins, Karnivool and many others. Sunburn Festival, India’s biggest Electronic Dance Music Festival, attracts more than 3,50,000 people and hundreds of artists every year. 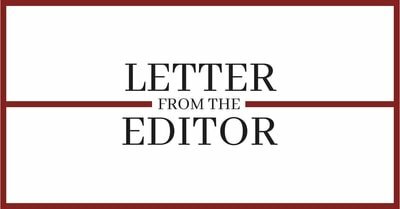 After years of being held on Vagator Beach in Goa, it has shifted its venue to the hills of Pune and rebranded itself to Sunburn Hills. The event celebrated its tenth anniversary in 2016, and in 2017, captivated the masses with their electric vibe and spectacular performances by some of the greatest names in this genre like Martin Garrix, Hardwell, David Guetta and Armin van Buuren. Pune ushered in the New Year with some great music, dance and food. I love what you guys tend to be up too. This sort of clever work and coverage! At the fifth edition of World Art Dubai from April 3 to 6, 2019: Egyptian artist and curator, Samar Kamel has created an immersive experience for art lovers by converging visual art with a live performance.